Please help us by “liking” and “sharing” this post! “When Srila Prabhupada conveyed to us the conclusions of the previous acaryas, he did so perfectly, preserving and transmitting the philosophy exactly as it is, neither watering anything down, nor covering anything over, nor leaving anything out. He gave us the essence of everything. In 2009 Jayadvaita Swami admits that the principle of arsa-prayoga is very important, and that it is an offense to violate it. 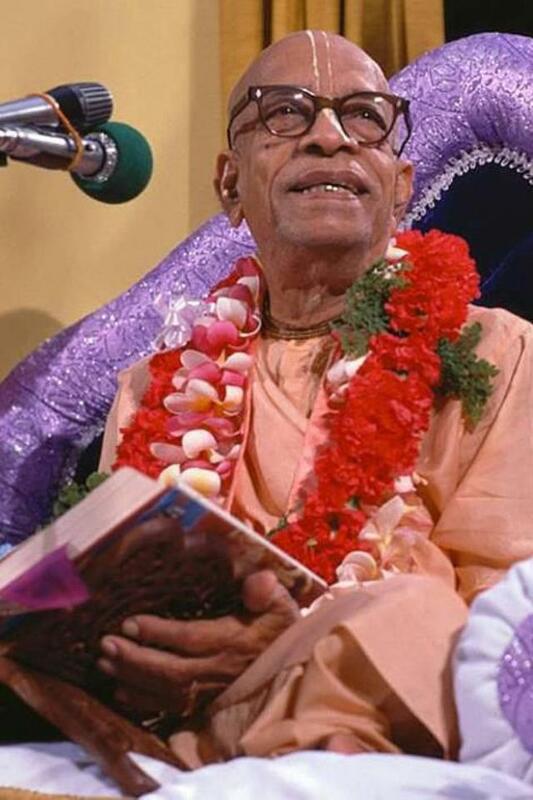 He admits that Prabhupada’s text has sanctity, and that the editors of Prabhupada’s books should never think they are better than Prabhupada and has more to contribute than Prabhupada. In this way Jayadvaita Swami makes it seem as if he did not add, subtract or change any of Prabhupada’s direct words (except for the grammatical errors, capitalisation and commas). However, during the last three decades, we and many other devotees have observed and documented numerous needless changes made by Jayadvaita Swami to Prabhupada’s Bhagavad-gita As It Is. And in spite of Jayadvaita Swami’s own seeming interest in not adding, subtracting or changing anything in Srila Prabhupada’s teachings, the posthumously edited books contain all of these three types of edits (adding, subtracting and changing). 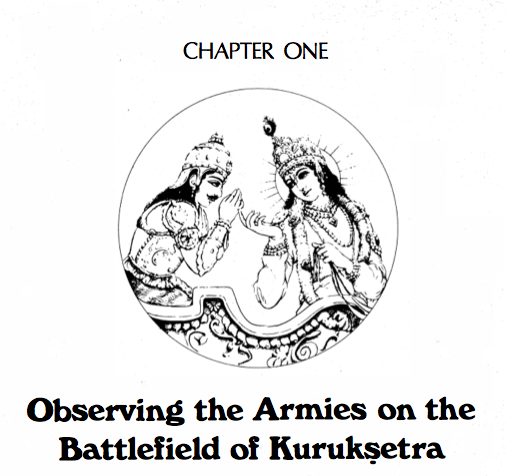 We will now start a series of articles documenting the changes made to the sanskrit synonyms (word for word meanings) in the first six chapters of the Bhagavad-gita As It Is. Why only the first six chapters? According to Jayadvaita Swami the first five or six chapters of the draft (often referred to as the ”original manuscript”) to the Bhagavad-gita As It Is was personally typewritten by Srila Prabhupada himself. If anything has sanctity, apart from the finished manuscripts that Prabhupada sent to the press for printing, it must be the words that he himself wrote on his type-writer. We would most certainly not expect to see any changes made to these. Even if they contain mistakes, these mistakes should not be corrected according to the principle of arsa-prayoga. However, we do see significant changes made to the sanskrit translations that Prabhupada personally wrote on his type-writer. By comparing the posthumously edited 1983 edition with both the 1972 MacMillan edition and the so called “original manuscript” we see that the 1972 MacMillan edition is much closer to and faithful to Prabhupada’s original words. We now publish for the first time a complete list over all the changes made to Prabhupada’s personally type-written sanskrit translations. Here is the complete list for Chapter One. tat—that; vāk—vocabulary; visargaḥ—creation; janatā—the people in general; agha—sins; viplavaḥ—revolutionary; yasmin—in which; prati-ślokam—each and every stanza; abaddhavati—irregularly composed; api—in spite of; nāmāni—transcendental names, etc. ; anantasya—of the unlimited Lord; yaśaḥ—glories; aṅkitāni—depicted; yat—what; śṛṇvanti—do hear; gāyanti—do sing; gṛṇanti—do accept; sādhavaḥ—the purified men who are honest. On the other hand, that literature which is full of descriptions of the transcendental glories of the name, fame, forms, pastimes, etc., of the unlimited Supreme Lord is a different creation, full of transcendental words directed toward bringing about a revolution in the impious lives of this world’s misdirected civilization. Such transcendental literatures, even though imperfectly composed, are heard, sung and accepted by purified men who are thoroughly honest. It is a qualification of the great thinkers to pick up the best even from the worst. It is said that the intelligent man should pick up nectar from a stock of poison, should accept gold even from a filthy place, should accept a good and qualified wife even from an obscure family and should accept a good lesson even from a man or from a teacher who comes from the untouchables. These are some of the ethical instructions for everyone in every place without exception. But a saint is far above the level of an ordinary man. He is always absorbed in glorifying the Supreme Lord because by broadcasting the holy name and fame of the Supreme Lord, the polluted atmosphere of the world will change, and as a result of propagating the transcendental literatures like Śrīmad-Bhāgavatam, people will become sane in their transactions. While preparing this commentation on this particular stanza of Śrīmad-Bhāgavatam we have a crisis before us. Our neighboring friend China has attacked the border of India with a militaristic spirit. We have practically no business in the political field, yet we see that previously there were both China and India, and they both lived peacefully for centuries without ill feeling. The reason is that they lived those days in an atmosphere of God consciousness, and every country, over the surface of the world, was God-fearing, pure-hearted and simple, and there was no question of political diplomacy. There is no cause of quarrel between the two countries China and India over land which is not very suitable for habitation, and certainly there is no cause for fighting on this issue. But due to the age of quarrel, Kali, which we have discussed, there is always a chance of quarrel on slight provocation. This is due not to the issue in question, but to the polluted atmosphere of this age: systematically there is propaganda by a section of people to stop glorification of the name and fame of the Supreme Lord. Therefore, there is a great need for disseminating the message of Śrīmad-Bhāgavatam all over the world. It is the duty of every responsible Indian to broadcast the transcendental message of Śrīmad-Bhāgavatam throughout the world to do all the supermost good as well as to bring about the desired peace in the world. Because India has failed in her duty by neglecting this responsible work, there is so much quarrel and trouble all over the world. We are confident that if the transcendental message of Śrīmad-Bhāgavatam is received only by the leading men of the world, certainly there will be a change of heart, and naturally the people in general will follow them. The mass of people in general are tools in the hands of the modern politicians and leaders of the people. If there is a change of heart of the leaders only, certainly there will be a radical change in the atmosphere of the world. We know that our honest attempt to present this great literature conveying transcendental messages for reviving the God consciousness of the people in general and respiritualizing the world atmosphere is fraught with many difficulties. Our presenting this matter in adequate language, especially a foreign language, will certainly fail, and there will be so many literary discrepancies despite our honest attempt to present it in the proper way. But we are sure that with all our faults in this connection the seriousness of the subject matter will be taken into consideration, and the leaders of society will still accept this due to its being an honest attempt to glorify the Almighty God. When there is fire in a house, the inmates of the house go out to get help from the neighbors who may be foreigners, and yet without knowing the language the victims of the fire express themselves, and the neighbors understand the need, even though not expressed in the same language. The same spirit of cooperation is needed to broadcast this transcendental message of the Śrīmad-Bhāgavatam throughout the polluted atmosphere of the world. After all, it is a technical science of spiritual values, and thus we are concerned with the techniques and not with the language. If the techniques of this great literature are understood by the people of the world, there will be success. When there are too many materialistic activities by the people in general all over the world, there is no wonder that a person or a nation attacks another person or nation on slight provocation. That is the rule of this age of Kali or quarrel. The atmosphere is already polluted with corruption of all description, and everyone knows it well. There are so many unwanted literatures full of materialistic ideas of sense gratification. In many countries there are bodies appointed by the state to detect and censor obscene literature. This means that neither the government nor the responsible leaders of the public want such literature, yet it is in the marketplace because the people want it for sense gratification. The people in general want to read (that is a natural instinct), but because their minds are polluted they want such literatures. Under the circumstances, transcendental literature like Śrīmad-Bhāgavatam will not only diminish the activities of the corrupt mind of the people in general, but also it will supply food for their hankering after reading some interesting literature. In the beginning they may not like it because one suffering from jaundice is reluctant to take sugar candy, but we should know that sugar candy is the only remedy for jaundice. Similarly, let there be systematic propaganda for popularizing reading of the Bhagavad-gītā and the Śrīmad-Bhāgavatam, which will act like sugar candy for the jaundicelike condition of sense gratification. When men have a taste for this literature, the other literatures, which are catering poison to society, will then automatically cease. Read the complete conversation here. 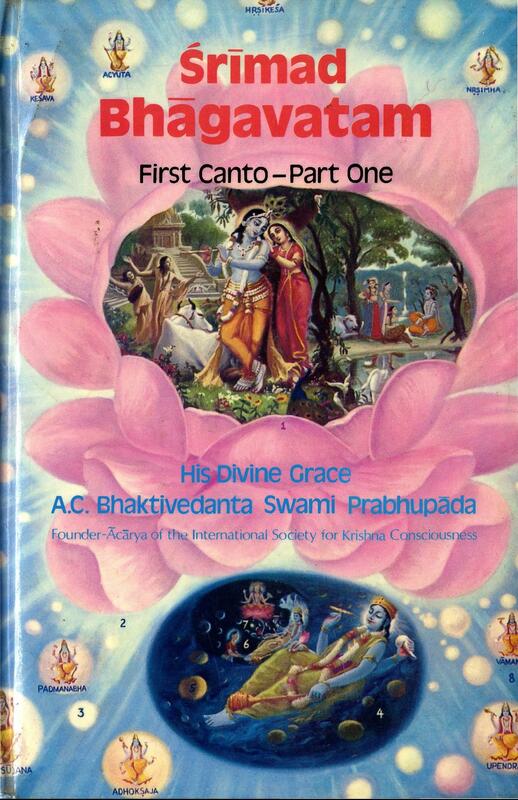 Prabhupada became extremely concerned when he was informed that his own BBT had changed his Sri Isopanisad and he wanted it published again “the original way”. However, this instruction was never followed.